By Shabana Arif Minecraft's Xbox characters are finally coming to the Switch and Wii U versions of the game. The popular skin pack will bring a plethora of Xbox exclusive character skins to the Nintendo platforms. 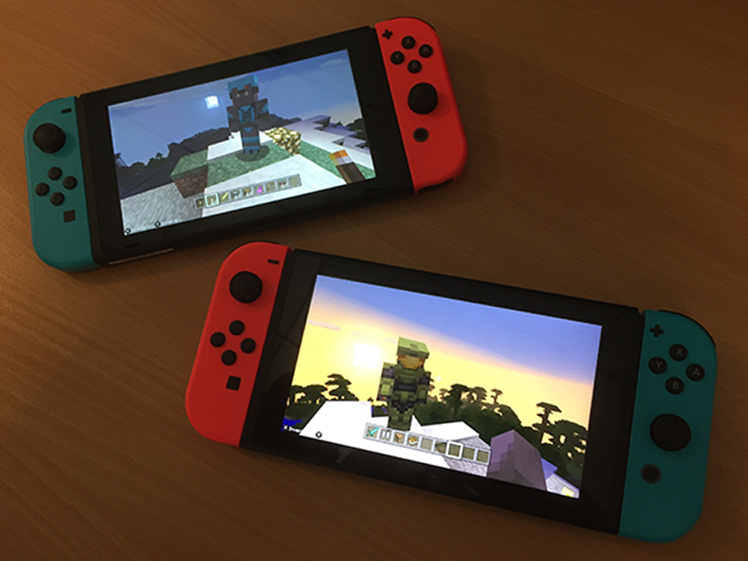 The latest update on Minecraft's official site details that the character skins include Master Chief, Banjo, Cole Train, ‘Splosion Man, heroes from the Fable series, and more, all ready for their first trip to Nintendo consoles. The update will also see the addition of the Moana Character Pack, featuring Moana, demigod Maui, and even the perennially dumb chicken. Various islanders and sea creatures will also be included in the pack, which you can download on the Marketplace. Now you can enjoy the novelty factor of seeing Xbox characters like Master Chief swanning about on your Switch. This follows the Better Together update which allows for cross-platform platform play between PC and consoles – with the exception of the PS4. You can find the new Switch and Wii U Skin Packs on the Marketplace.